Last week I wrote about Ossic VR and its incredible 3D headphones that, for the first time, delivered true custom HRTF sound in a 3D space. 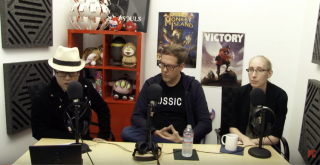 In a special No BS Podcast, I sit down with Ossic CEO Jason Riggs, and its CTO, Joy Lyons. Both have been in the audio business for many years and shared with us a wealth of information from a technical standpoint on what it takes to bring real positional 3D audio. I question the Ossic team on what exactly are HRTFs, how they're calculated, why they're important to the brain being able to locate sound direction, and how its upcoming headphones are able to deliver on its promise. After the the podcast was recorded, I actually went over to Ossic's lab in downtown San Francisco to demo its prototype. Honestly, mind blown. It was the most convincing and realistic audio experience I had ever heard in my life. I had the same jaw-dropping reaction trying out the company's headphone as I did when I tried the Oculus Rift for the first time. Several days later, Ossic announced its Kickstarter with a target goal of $100,000. As of this writing, it's already blown by that target and is sitting at nearly at $1M. It was my first run at hosting the podcast and frankly I was slightly nervous and forgot to introduce myself. Oh, well. But hopefully, I asked the right questions and the session provides good details. You can subscribe via RSS or iTunes, or check us out on YouTube.